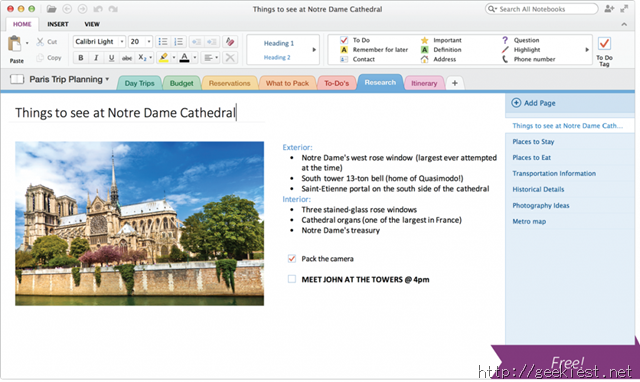 Microsoft have released a Free app for OneNote for Windows and Mac. 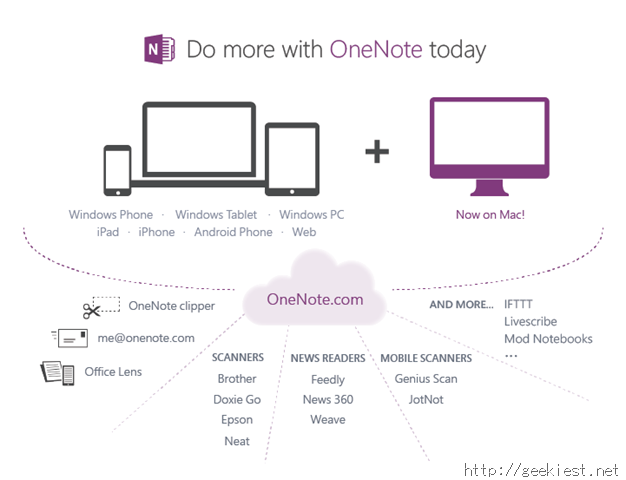 With the latest release, OneNote now works PC, Mac, Windows tablets, Windows Phone, iPad, iPhone, Android and the Web. Both look very similar and use a Ribbon interface for navigation, and both versions are free. The Windows version has some premium features, but the free version is devoid of advertisements and offers the core features for naught. The best part is OneNote does not have a monthly upload limit like EverNote, so you can use it without worries, as long as you have sufficient free space on your OneDrive account. 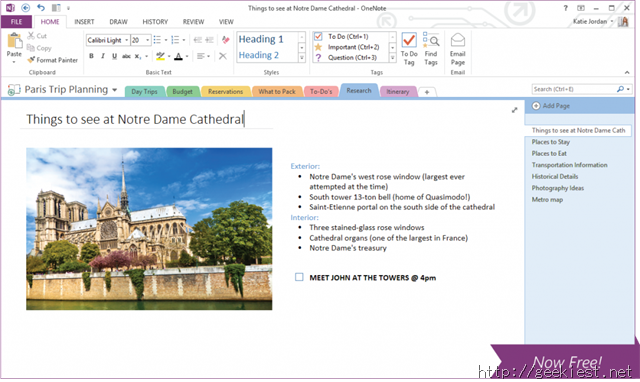 You can save web pages to OneNote from a browser by using OneNote Clipper. You can also email notes to me@onenote.com. Microsoft have also released an app called Office Lens, for Windows Phones, which allows users to take photos of documents and whiteboards and send it directly to OneNote. They have also released a Cloud API, to allow third party apps to connect to it. And popular news reader Feedly, have already added support for it. But it is a Feedly Pro feature, i.e for premium users only. But you can use it for free until April 17th. You can read How to use OneNote with Feedly at the support page of the latter. You can download OneNote for free from the official website.